When I asked my fans if they had ordered their credit report or if they knew what was on their credit report the answer was an astounding no for many of them. Most had no idea how to go about ordering a free credit report in Canada. Today, I’m going to show you just how easy that is and it won’t cost you a dollar. Some fans didn’t even care about seeing their credit report and that’s fair as some people truly don’t care but for others it is crucial to know what is happening behind the credit scenes. The worst thing is being uninformed until something goes wrong and then you rush to fix any financial concerns. Sadly, fixing credit doesn’t happen overnight and will take time. A friend of ours moved into an apartment and wanted to get some furniture from the Buy Now, Pay Later place only to find out her credit report came back with an unhealthy mark so she was denied credit. When I asked my Facebook community about their credit report I was also surprised to learn that most had no idea where to find out about their credit report and credit score. I asked this to gauge an understanding of whether they knew everything they needed to know about their finances. I want Canadians to realize that we should be budgeting our money and spending less than we earn. This entails knowing all about your financial health and understanding what kind of spender you are. Sure being frugal, using coupons, shopping at second-hand clothing stores is all fine and dandy but that only scratches the surface. The reality is if we don’t know where we are at financially how are we able to plan for our future? 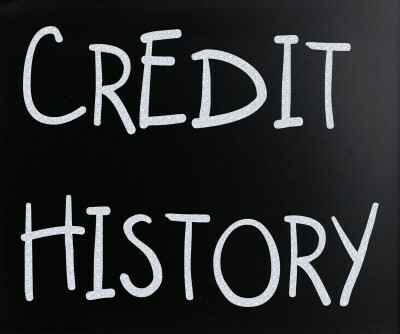 An annual credit report is a record of your credit activities in Canada. If someone does a credit report check and your credit score it not up to snuff you may not get that loan or credit card that you were hoping to get. Credit cards can serve a rewarding purpose if used correctly but having too much credit will also affect your credit score. Although the credit report is free in order to get your actual score you will have to pay a fee which seems reasonable to me. So, if you need to know your exact credit score number you will have to pay for it. It saves you all the hassles down the road if you take care of it today and every year after that. When I moved to Canada from the UK in 2007 as a permanent resident I had ‘ZERO’ Canadian credit history and it plain out sucked. I was a far cry from even touching a good credit score of 700. It didn’t matter how much money I had no score means no credit, full-stop. I’m not sure how it happened but Sears was so kind as to give me a $500 limit Sears MasterCard which I guarded with my life. I then used the low limit credit card for all purchases and paid it off at the end of each month. My goal was to start building a credit history so we could start our lives together. The list goes on and on so I was pretty much out of luck and had to set some long-term goals to build my credit. Although my wife had lived in Canada all her life I still needed to establish myself to the financial system that I was safe with credit and loans. Over the years my credit score had increased dramatically and I’ve was a happy as a pig in manure because it’s not easy starting a new life in a country where everything is foreign. Once my credit score was acceptable my wife wanted us to order our credit reports to check them. I had no idea what she was going on about but I obliged because I trust she knows what she is talking about. She wanted us to go over our credit reports to make sure no one was using our name for credit that was not authorized, called Identity theft. It was interesting to read about 4 things that thieves don’t want us to know about how they get all the dirt on the people whose identity they steal. Facebook is a gold mine- If they want to know everything about you they will check Facebook. Make sure your profile is private and don’t give out too much personal information online. Email hacking– They will hack your email to get any family and friends info so they can us that in their ploy to get more. Use a highly secure password when you create your email accounts with numbers, symbols and letters. Job wanted– They will post jobs and ask you to send your resume, money transfers and talk to you just to get all of your personal info because they know you will believe them. Don’t ever give out personal info over the phone or via email unless you know the recipient and it’s secure. Even then I’d be leery. Now you can get your actual Credit Score number for free in Canada! According to Equifax Canada a credit score that fall between 600-750 and anything above 700 is good. If your credit score does not fall in this category find out why and work on fixing the problem so you can build your credit history again and increase your credit score. If you aren’t budgeting your money I suggest downloading my free budget spreadsheet and start today. This is what helped us become debt free and now mortgage free. For more information: What is a good credit score and what impacts your score? What is the difference between a credit score vs credit report. The great news is there are a few ways to order your free credit report. The top credit report agencies are Equifax, Trans Union and Experian in Canada. Here are some FAQ’s from Equifax. If you don’t have time to wait the 5-10 days to receive your free credit report by mail you can opt to pay for your credit report for instant access through TransUnion. Protect yourself, protect your identity, protect your credit. Order your credit report once a year, I’m glad we do. There’s no excuse Canada, Your credit report is FREE! Emergency Savings Funds in Canada- How much and Why? Great article! I loved the insight and advice given. In addition, your blogging style is very fun to read. If you have enough time kindly check out my new blog and let me know what you think. You raise a very good point. I started trying to get mine (and my husband’s) once a year, once identity theft started to make the news. I am impatient and just do the online route – the frugal choice would be to do it by snail mail!